Christopher Hitchens, longtime contributor to The Nation, wrote a wide-ranging, biweekly column for the magazine from 1982 to 2002. With trademark savage wit, Hitchens flattens hypocrisy inside the Beltway and around the world, laying bare the “permanent government” of entrenched powers and interests. 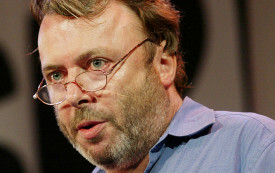 Hitchens has been Washington editor of Harper’s and book critic for Newsday, and regularly contributes to such publications as Granta, The London Review of Books, Vogue, New Left Review, Dissent and the Times Literary Supplement. 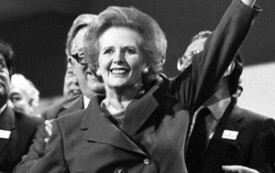 It is easy to summarize the foulness of the Thatcher years, but there's a lesson the left could learn from her. A new memoir by Robert Hughes reveals the idiosyncratic sensibility of a celebrated art critic. I suppose I can just about bear to watch the "inspections" pantomime a second time. I have met three hijackers in my life, and I hope I do not sound crabby and disillusioned if I add that the standard of hijacking is not what it used to be. Concerning the impending or perhaps imminent intervention in Iraq, we now inhabit a peculiar limbo, where the military options are known while the political and moral options are not.